Forever Family: I Still DIDN'T Eat Your Skittles! And oddly enough, it is one of the most read articles here on the Blog... oh, wait, I just checked the stats, it IS the most read article on my blog. Why is that?!? Maybe it is worth giving a bit of an update on the whole "trust" issue. Miss G: DAD! DAD! DAD! Me: What baby? What's wrong? Miss G: DID YOU eat my CHOCOLATE?!?! Me: No, I did NOT eat your Chocolate. Miss G: Because my chocolate is... gone! Me: Oh no, I bet your Mom ate it. Miss G: Mom, did you eat my Chocolate?! Wife: You hadn't eaten it yet. So I ate it. You know if there is chocolate in the house, that I will eat it. Miss G: But I just got it. Me: See, I didn't eat your chocolate. Me: Miss G, why don't you ask Mom who ate your cake? The cake I got you on our Date Night. Miss G: Mom, did YOU eat my cake? Wife: Ummmm, yes. But you left it in the fridge! Miss G: Where else was I supposed to put it! Wife: You have to HIDE it from me! 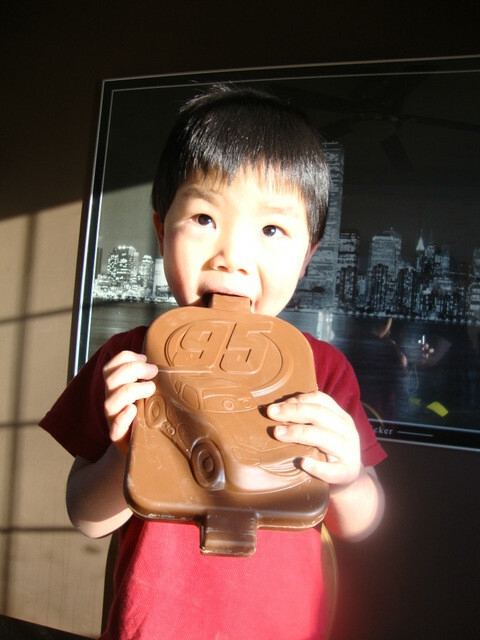 BigD: Oh, are we talking about the time you ate Dad's chocolate? Wife: Hey, he wasn't eating them! Me: No one told me they were mine! I thought they were the boys. Since when do people buy ME chocolate. Wife: Look, it's very simple, if there is chocolate in the house, I will eat it if I can find it. You all have been warned. Me: I think the important thing to take from all this, is that it is you MOTHER who eats your candies. Not me. Me: Which means, I did not eat your Skittles. Kids: You TOTALLY ate our Skittles! So now, the children trust neither of us. I guess you really can't make/force people to trust you. Maybe in a few more years, they will learn to trust us more... or at least how to hide thier chocolate better. Yes! I will eat the chocolate too! If it is left for more than a couple weeks, it needs to be eaten... by me.